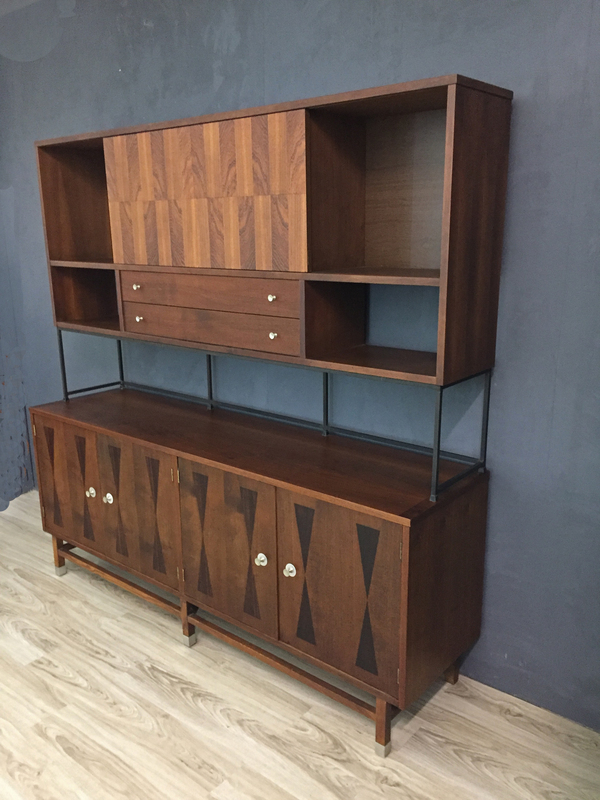 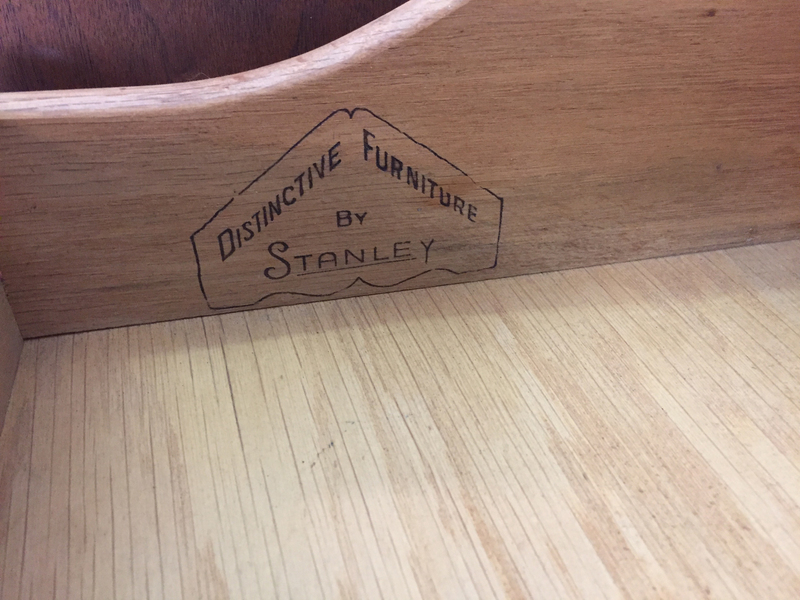 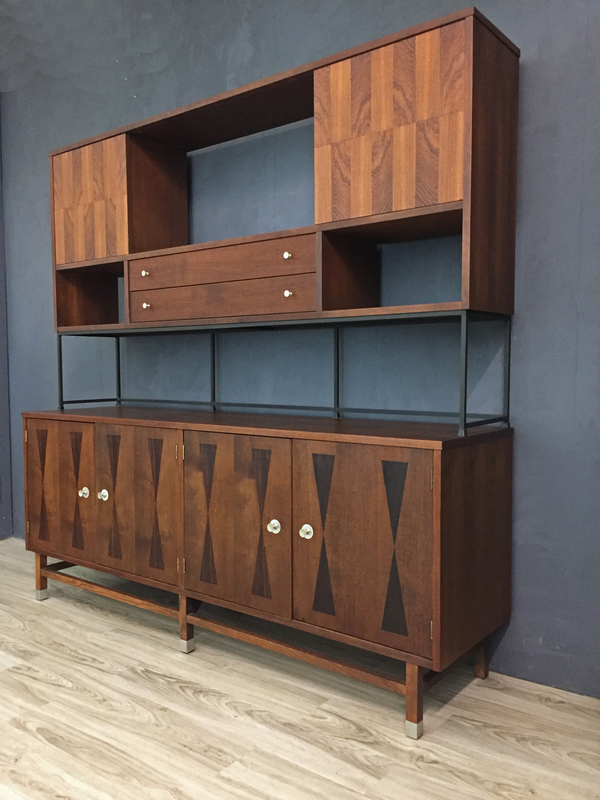 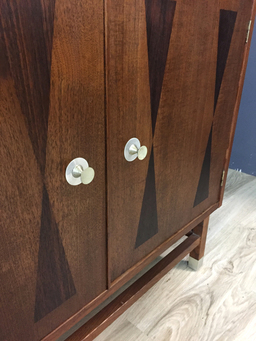 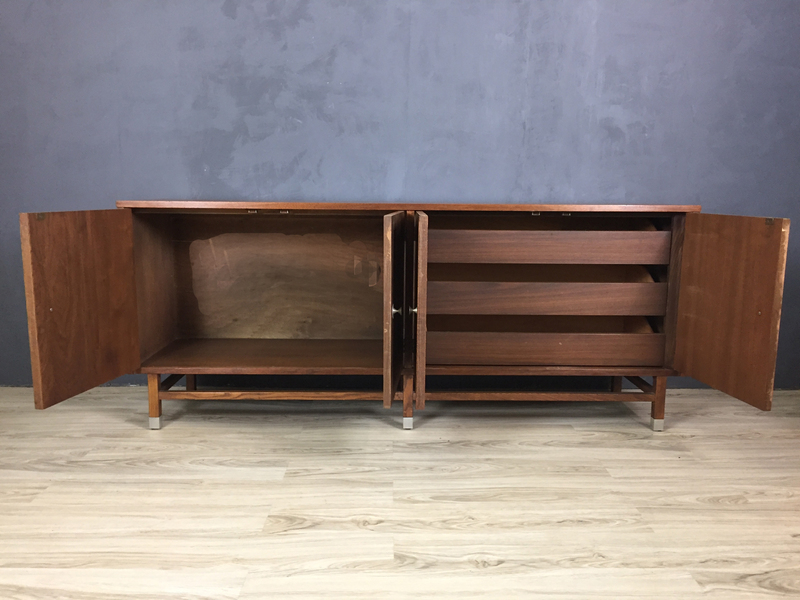 Dating from the 1960’s, this dramatic wall unit manufactured by the Stanley Furniture Co is beautifully constructed of walnut with rosewood inlay on the lower cabinet doors and upper sliding doors. 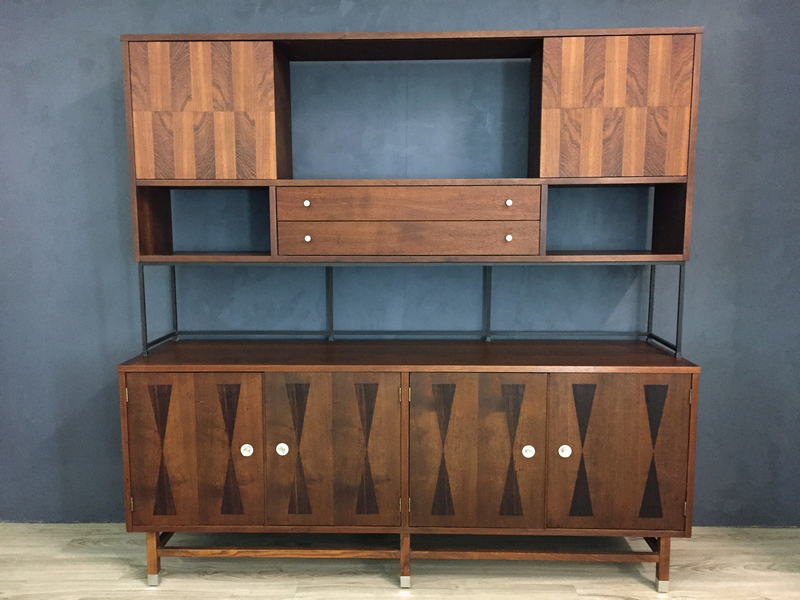 The piece consists of two separate parts – a credenza and a top unit. 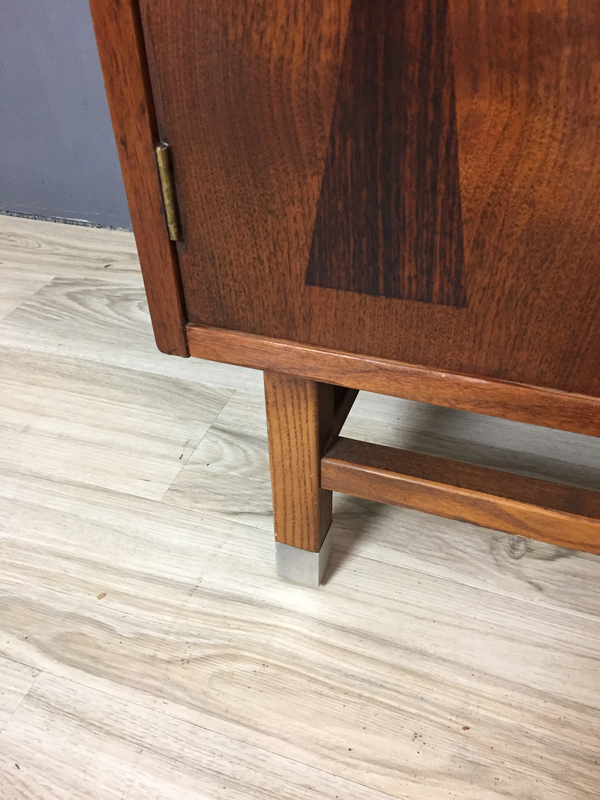 The top is supported by wrought iron legs and has two drawers and sliding doors that offer different options for placement-- they can slide together in the center or push out toward the ends to cover the cabinets. The piece features the original eye catching silver brushed chrome pulls with round disk plate, plus chrome covered feet. 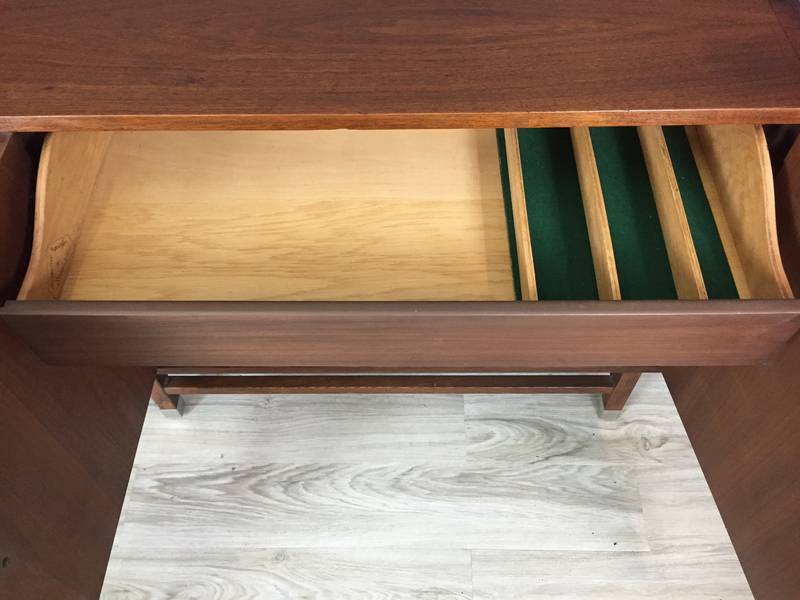 Interior has three drawers on one side and cabinet on the other (no shelf included). 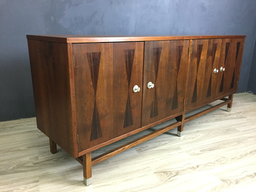 This piece has been restored to its original glory and is in excellent condition. 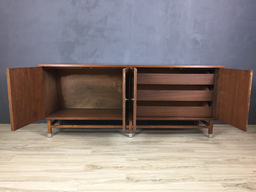 Could be used separately as a credenza and shelf unit. Lots of possibilites and a fabulous look.